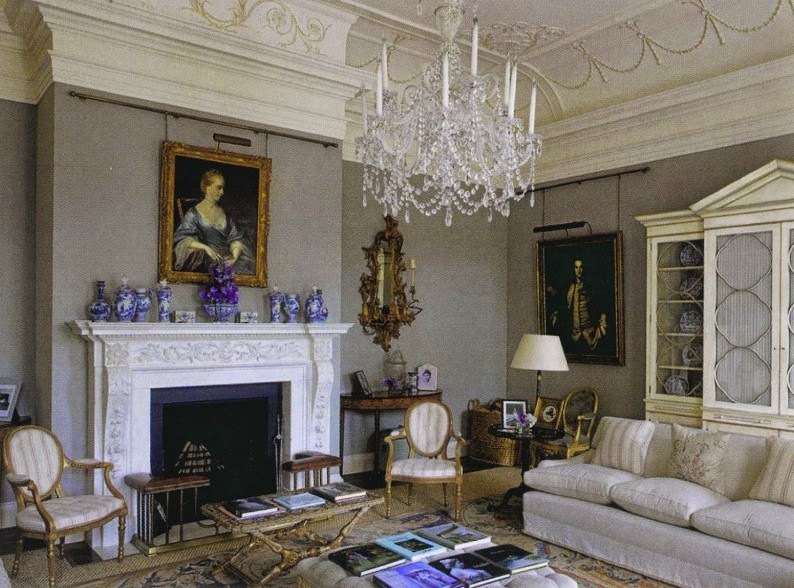 the home of Viscountess Rothermere. Built 2000 to 2002 to designs by Quinlan Terry. 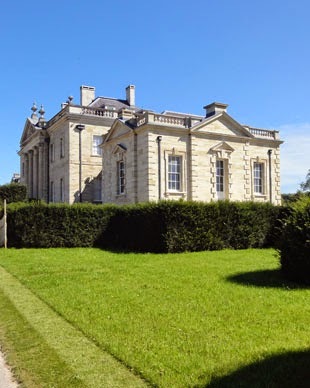 After the sale of Daylesford (see previous posts on the quintessential Cotswolds country house here, here, here, and here) to Baron Thyssen-Bornemisza, was Viscount Rothermere left without a proper country seat? Not for long. 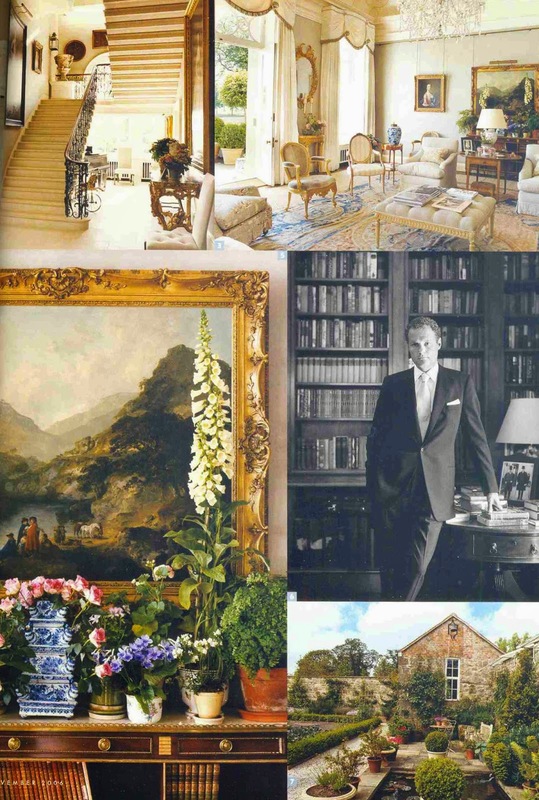 Jonathan Harmsworth, 4th Viscount Rothermere (born 1967, son of Vere and Pat "Bubbles" Harmsworth, see earlier post here), built an exemplary new country house, 2000 to 2002, on the 200 acres known as Ferne Park. 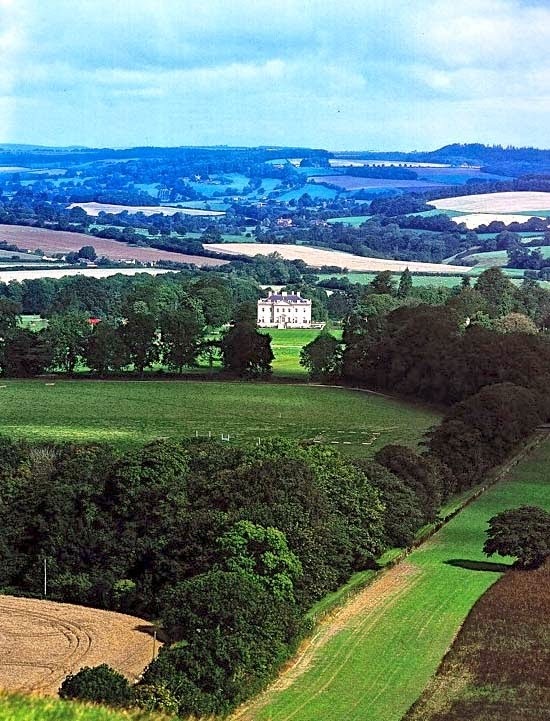 An aerial view of Ferne Park. The present house is the third that had stood on the site with a view to the Dorset Hills. The second house had been demolished in 1965. 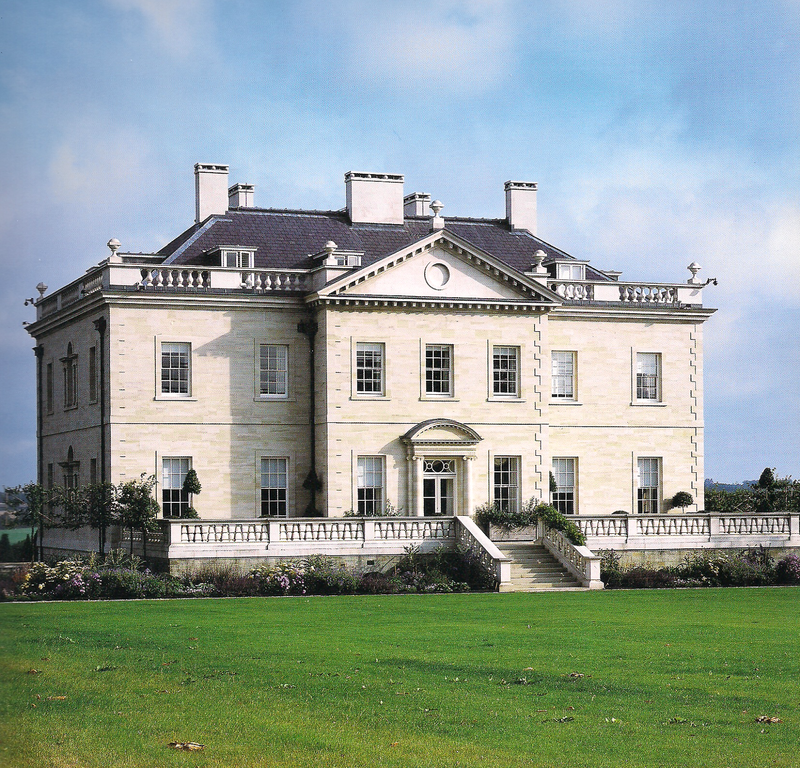 The Harmsworths had been looking for a property with views and old out-buildings that could be developed; Ferne Park filled those requirements. The local planning authority had three restrictions that were gladly respected: the house must be built of local stone, be classical in design, and be no larger than the previous house that had occupied the site. As of this writing, Viscount Rothermere spends most of his time at his chateau in the Durdogne where he is visited by his wife and children who otherwise live at Ferne Park. Claudia Caroline Clemence Harmsworth, the Viscountess Rothermere, was familiar with the work of classicist English architect Quinlan Terry who with his son Francis are principals in the firm Quinlan Francis Terry LLF in Dedham, England; subsequently, the firm was engaged to create a new classical mansion on the property. 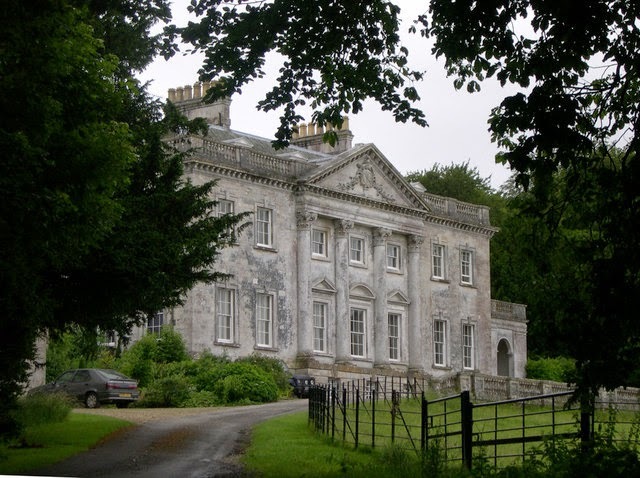 One of the inspirational models for the new house was Came House, built in 1754, in Winterborne Came, Dorset. Lady Rothermere thought it an imbalance, however, to have the three smaller upper windows between the engaged columns. So the upstairs windows at Ferne Park are all the same size. (There is no traditional hard-and-fast rule on this, it must be noted. There are other examples of similar houses of the eighteenth-century that also had all the upstairs windows the same size). 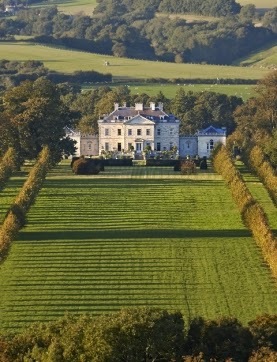 The house has views to both Dorset and Wiltshire, both having rich resources of building stone. Four different stones were used on the exterior of the house with the slight variations adding to the visual interest. 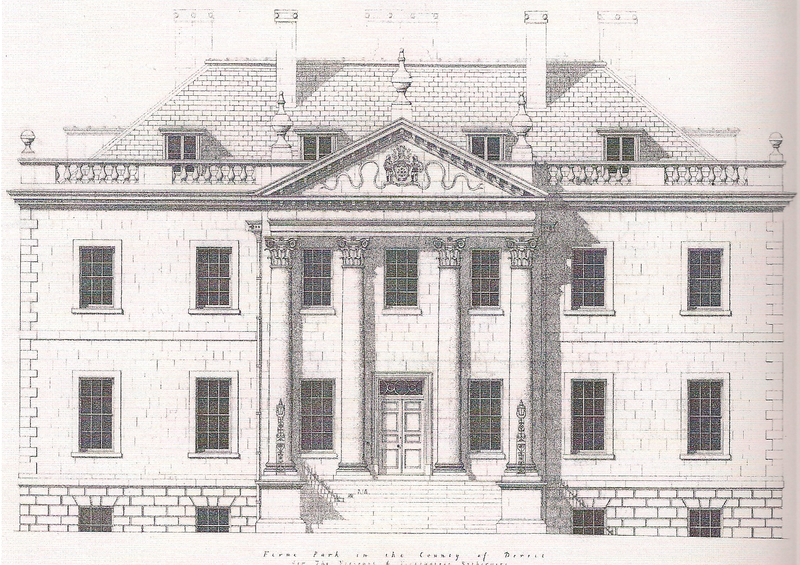 The entrance elevation of Ferne Park. The principle stone used for the facades was Chilmark stone, a Jurassic oolitic limestone. In the 13th century, it was used for Salisbury Cathedral; in the 16th century, for Langford Castle; and in the 17th century for Wilton House. showing the subtle variation of stones. Portland stone, another local Jurassic oolitic limestone, was used for the rusticated basement story, the columns, the entablature, and the chimneys. 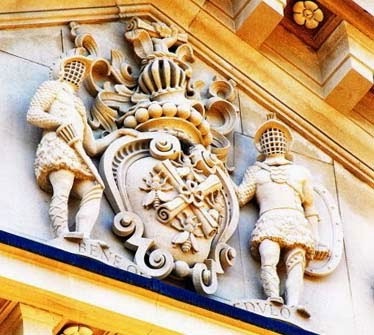 Andrew Tanser carved the Rothermere coat of arms for the pediment, a feature seen in almost all the houses Palladio illustrated in Quattro Libri (The Four Books of Architecture). are over 6 feet tall and in the composite style. a model for the capitals at Ferne Park. A detail of the door surround of the main entrance. THE ARCHITECTURE OF QUINLAN TERRY. fill the entrance front pediment of Ferne Park. Upper Greensand sandstone, another local stone but of the post-Jurassic period, was also used. This pale green-ish gray stone was used as ashlar in many of the important 18th century Dorset buildings. Rome, AD 141. From Palladio, I QUATTRO LIBRI, 1570. The fourth stone, not local, was York stone. For durability, it was used for the entrance front staircase and the south terrace paving. The Garden (South) Elevation of Ferne Park. for the south terrace balustrade at Ferne Park. The balusters of the (south) garden terrace utilize a design of alternating forms in order to meet building safety regulations that would prevent a child from falling through. 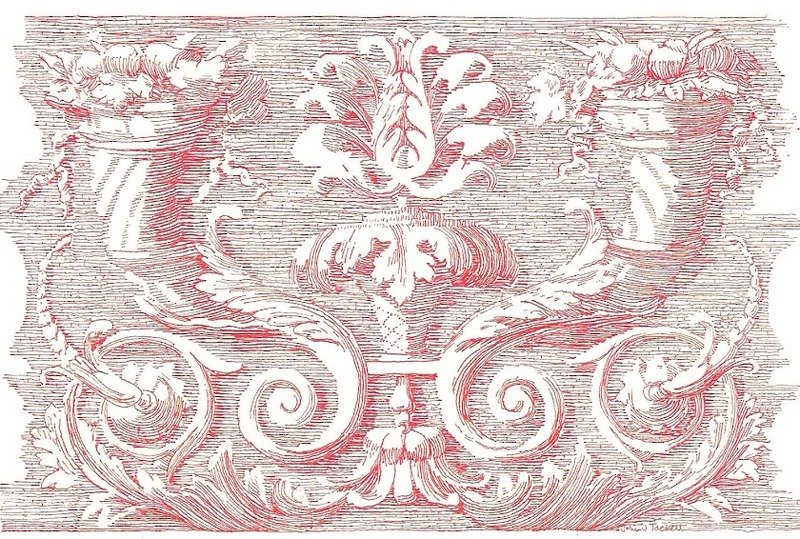 A Baroque rhythm, such as that used at Longhena's Ca' Pesaro in Venice, 1649 to 52, provides an appropriate solution to modern demands on classical architecture. the Viscount and Viscountess Rothermere. November 2006, via Indy Media. Although the floor plans were well thought out in terms of proportion and natural light, they might not be suitable to the lifestyles of many American billionaires in terms of expected convenience. That said, the simplicity of plan does allow some grand Georgian rooms with handsome details. Interior designer Veere Greeney was brought in early in the design process to help create a comfortable décor compatible with the architecture. In an article for Country Life magazine, May 5, 2010, David Watkins writes, "Oil paintings, watercolours, drawings and engravings of an exceptionally wide range of dates and styles, create the impression of a collection that has grown over many years. All the [bathtubs] are old ones that have been refurbished, but there are no coloured marbles or gold taps in the bathrooms, which are plain and discreet." 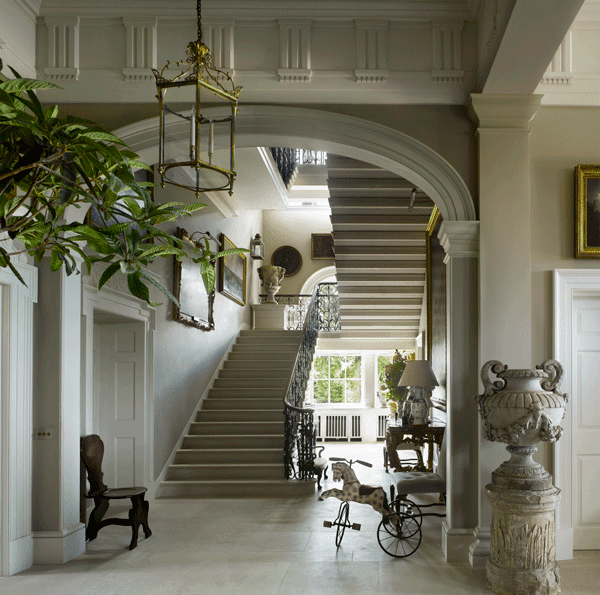 The Entrance Hall of Ferne Park. When the house is filled with guests, the Entrance Hall also serves as a Sitting Room. The doorway behind the folding screen leads to the service stairs and, beyond, the Kitchen. On the opposite wall, there is a doorway to a vestibule with a coat closet and powder room, with a sitting room beyond. The Staircase of Ferne Park. It is difficult to see in this photo of the stairs, but there are 'Venetian' or 'Palladian' windows, an arched head window flanked by a narrow flat head window, on both the first (main) and second floors at each end, as the house was originally built. 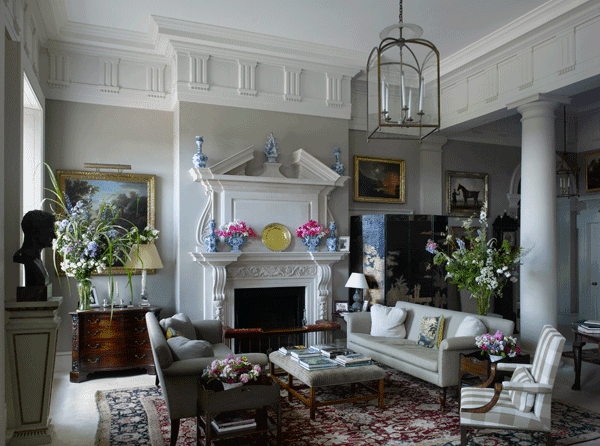 The Drawing Room at Ferne Park. The Drawing Room on the center of the south side has a shaped, ornamented plaster ceiling. On either side is a Dining Room (which later became the Breakfast Room) and the Study. Veere Grenney's fabric "Ferne Park." No views of the second floor have been published, but this photo of designer Veere Greeney's fabric "Ferne Park" might offer a glimpse. 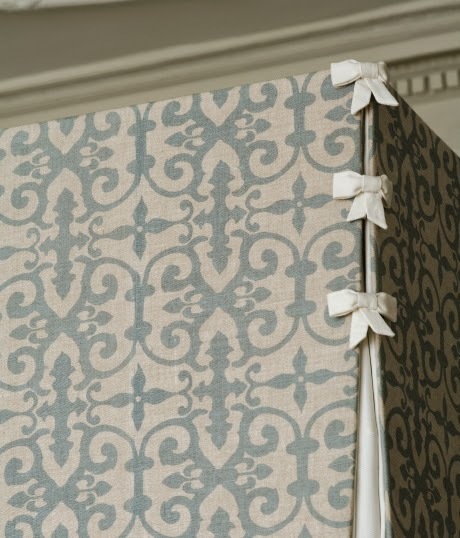 It appears to be the corner of tailored bedhangings, the be-ribboned flat-pleated corner of the canopy in a Georgian room. (T.D.C. 's note: this detail was later discovered to be from the designer Veere Grenney's own bedroom). Paul Highnam photo via gardenmuseum.org. The gardens, designed by Rupert Golby, are occasionally open to the public to benefit charities or non-profit organizations. Such was the case on at least two occasions earlier this year. Check the Events website of the Garden Museum for the schedule of Garden Open Days for private gardens that are open on behalf of the Garden Museum Development Appeal which supports the creation of the Garden Design Archive. It is an excellent way to visit exceptional properties such as this. 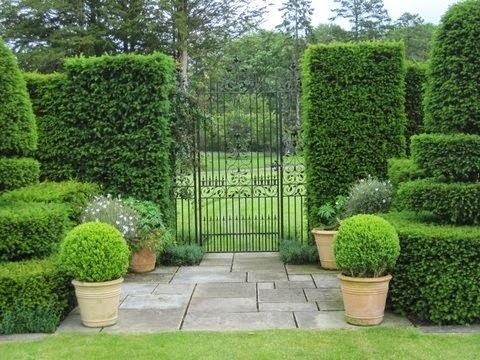 Another garden gate view at Ferne Park. Photo via Southern Spinal Injuries Trust. 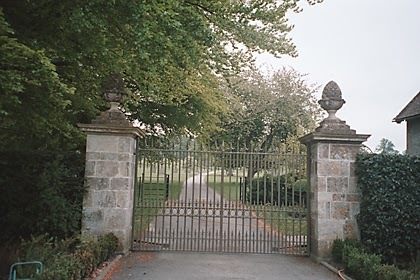 There are several entrances to the estate and one still maintains a carriage entrance for the second house that stood at Ferne Park. Original gateway from the second Ferne Park. Photo via Images of England. Architect Quinlan Terry used the original design as a model for a larger, modern entrance that was an interpretation of the historic precedent. based on the design for the previous house. 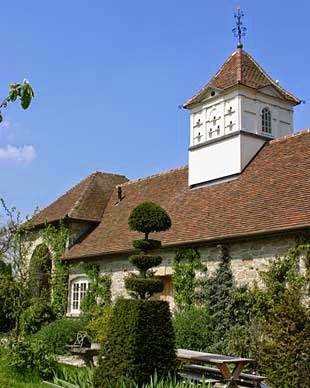 The outbuildings from the time of the second house were made more picturesque in some instances and renovated to suit modern needs of the family. been renovated and adapted to modern use. In 2006, an application was made to extend the main house. Adding a Library on the west and a Dining Room on the east main floor level, plus a Billiard Room and additional service areas on the basement level, the extensions maintained the symmetry and original design concept of the house. The extended garden front at Ferne Park. False windows of the north face in the added rooms conceal a fireplace and chimney. Venetian/Palladian windows look out to the garden. The main house won The Georgian Group award for the Best Modern Classical House in 2003. 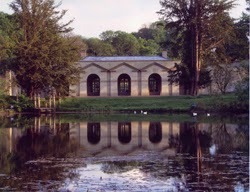 In 2008, The Georgian Group cited the added Pavilion, also designed by Quinlan and Francis Terry, with the award for Best New Building In The Classical Tradition. The Pavilion at Ferne Park. A loggia spans this side of the new building. Photo via The Georgian Group. William Kent's Praeneste at Rousham in Oxfordshire was given as the inspiration for the new Pavilion. A seated statue of the influential philosopher Immanuel Kant is placed in the ornamental pool. Obvious shades of Lord Marchmain, though In France he lives and not Venice...Venetian all the way thru! Could swear I was going thru one of Palladios jewels near ASOLO. Just adore the bees on the Sunflowers atop the Capitals...as if just alighted from the Family Crest. I am sad his Mama never say this Vision of her boy...though he is very handsome in her favor. Love your engaging posts - scholarly yet easy on the mind for the uninitiated. T.S., thank you for your kind remarks. I strive to add something to the basic story, something I would like to know, myself, plus leave an opening for further study. As for the viscount, we may never learn the reason for the self-imposed exile. But for me, that house would be hard for me to forsake. 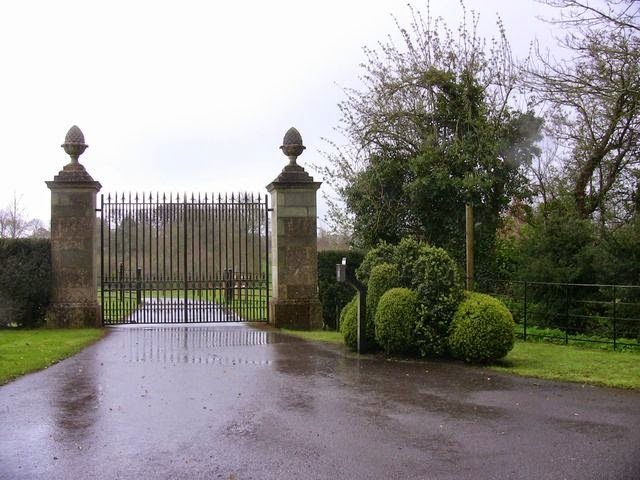 Maybe it is time for the post on William John Bankes and Kingston Lacy. Just read up...Venice is as good a place to die! Beautiful dreamy La Serenissima...good enough for Diaghliev and Stravinsky. I remember in the 70s, a decorator...FRENCH of course, told me in gest...ALL QUEENS WISH TO DIE IN PARIS...of course, years later, he chose too as well! A wonderful elegant and talented friend with many clients and featured in the day in Architectural Digest whom AIDS took away! What is your opinion of the extensions? I am one for the original with Four sides each with facade..ala Petit Trianon. I recall a pavilion of sorts...on the grounds of a demolished main house, perhaps near this location...that has the same symmetrical extensions/additions off the main folly with similar room designations and style. I think a famous designer/dealer/architect occupied this until a few years ago when it went up for sale..perhaps you wrote of this? T.S., as the architect for my own new house projects, I insist that all elevations -- not just the front -- be presentable, whether they are able to be viewed from the public or not. (See Nonesuch House in the Labels in the right-hand margin). So this house is impressive in its exterior symmetry, especially in the original version. For my own new house projects, having a central block with flanking hyphens and end pavilions -- as this house was altered to have -- offers various possibilities for adaptation for modern use. So that is a more expected scheme for a symmetrical modern house. I could go on for a very long time, but the short answer is that I like the extensions but admire the uniqueness of the original scheme in terms of modern classicism. Of course it goes without saying it would not work without a staff and outbuildings, and probably would not be acceptable to American lifestyles. Thanks to one of my Devoted Readers, I was able to see the floor plan but it was a construction drawing and was not legible in reproduction for the blog format. Ferne Park is a remarkable house for this millennium, none the less, and a standard against all luxury homes of this ilk must be compared. As for the other house you mentioned, I think surely you refer to The Menagerie. It was featured in two posts of this blog; click on "Menagerie" under the Labels to read those posts. Thank you for commenting. 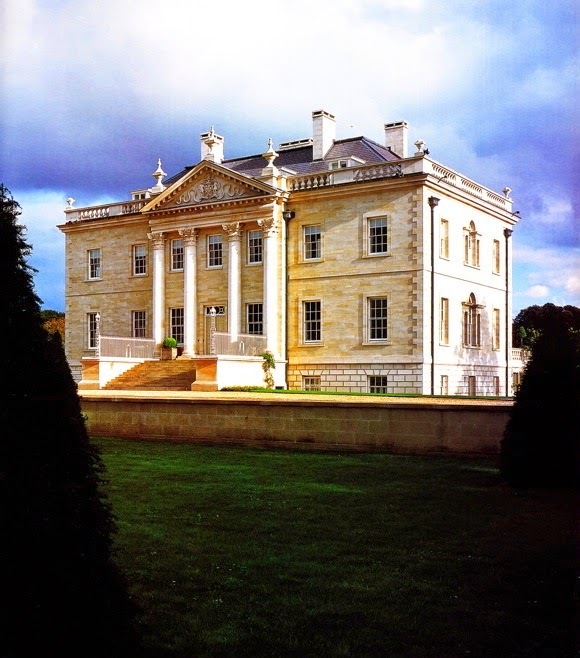 I absolutely adore Quinlan Terry's architecture, and have always thought that Ferne Park is an exceptionally well executed modern classic. Pity about Harmsworth's connection to that objectionable rag, The Daily Mail. L.C., thank you for your comments. I am a big Quinlan Terry fan as well, and his former mentor Raymond Erith. I only see occasional on-line articles from The Daily Mail but apparently it is a cash machine that just keeps dispensing money. I love your blog! Tell your fellow bloggers that two pictures and a few sentences do not make a good blog post! A.F., the wonderful thing about blogs is that each of us Bloggers gets to post exactly what we like. To each his/her own. But I am glad you are a fan of The Devoted Classicist blog. Thank you for commenting. 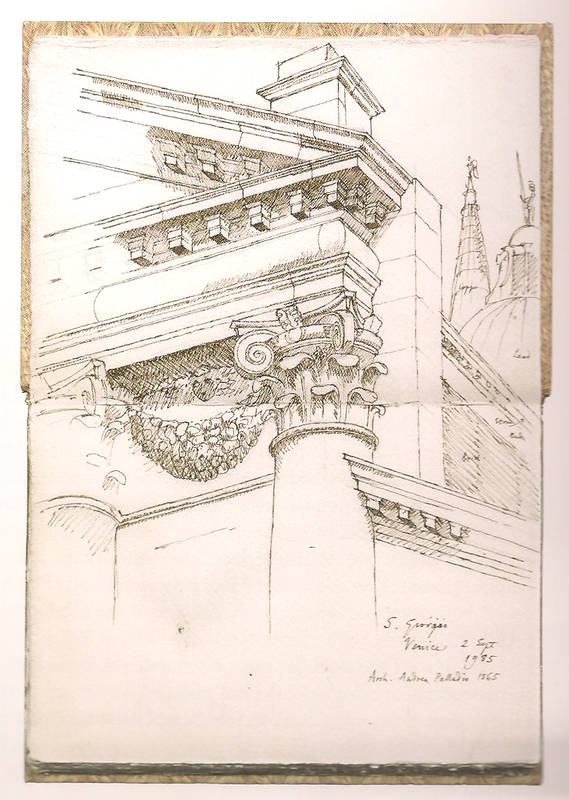 John, excellent feature as I love Palladian architecture, and as James am entranced by the bee and sunflower details. A stunning work throughout. 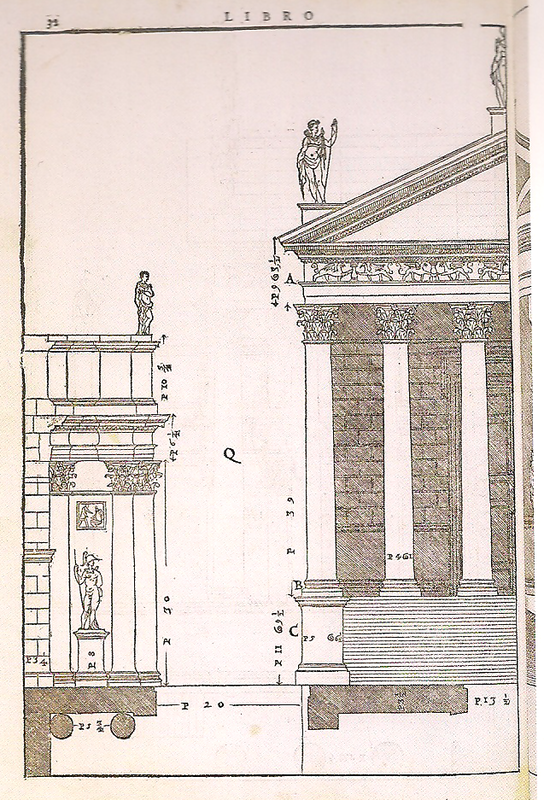 K.A., I love Palladian architecture as well, both pure and interpreted. 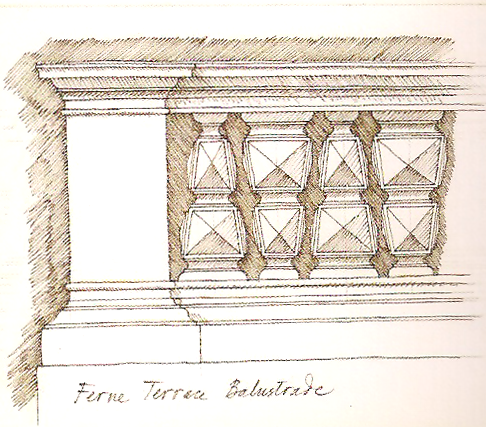 I was the architect for a house in Dallas with a considerable amount of stone decoration, but, because of the long lead time, the owners had already commissioned the sculptures before I was hired. So it was an opportunity lost in terms of incorporating special motifs, though an interesting experience for me otherwise. Thanks for commenting. Terrific post! Quinlan Terry designed a house very much like Ferne Park for Pin Oak Stud near Versailles, Kentucky. I believe it was Terry's first house in the United States, with interiors done by Anthony P. Browne of Georgetown, DC. It is a stunning, but very comfortable house. A.T.R., yes the Abercrombie Residence from the 1980s is a great house. It was inspired by Marble Hill, Twickenham, and I visited the historic house on the outskirts of London specifically because of that. Thank you for commenting. H., thank you for the compliment. Hackwood is also similar, isn't it? A very handsome house, though I had not previously considered it; your suggestion is noted and appreciated. Came across your blog by accidence, but love it already. Beautiful pics, interesting houses and facts.